Relieving from our sins and taking us on the journey to attain Moksha, Ganga has been a mythologically important figure in Indian culture. 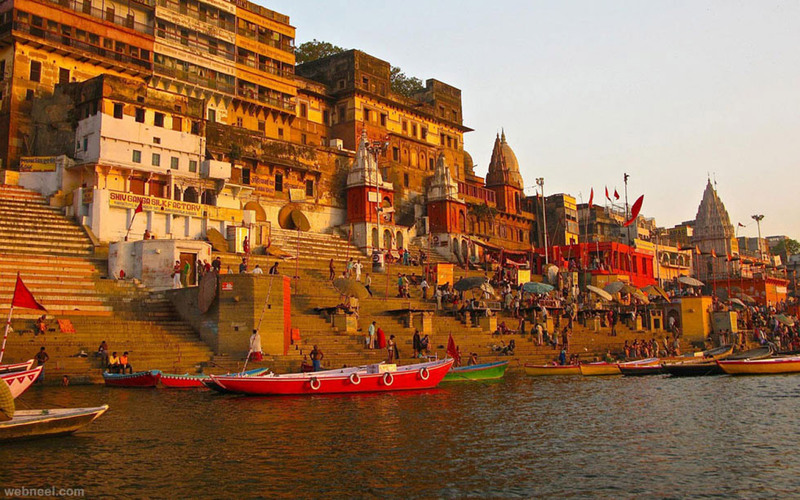 With its origins from Himalaya, Ganga is considered as a sacred river in the country. Worshipped as goddess Ganga by people following Hinduism across India, the holy river has a history which is known by the only fistful of us. Her origination from Lord Shiva’s hair is the question rendered by most of us. 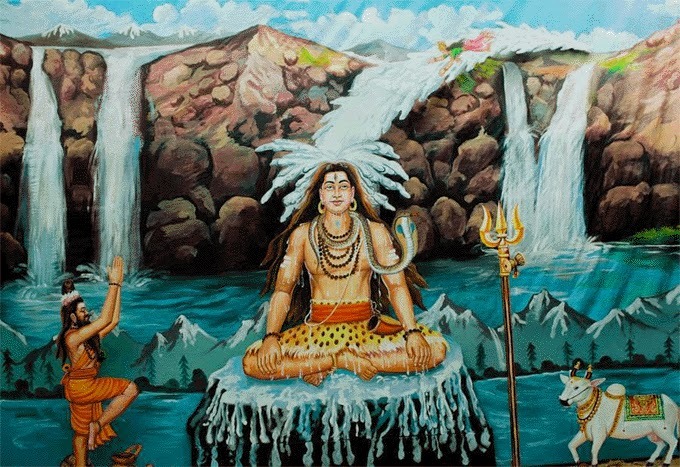 So, it’s time for you to read about why Ganga flows through Lord Shiva’s hair. Also known as the Ganges, the river boundaries the Asian continent and flows through both India and Bangladesh. It rises from the western of Himalayas, in Uttrakhand and merges into the Bay of Bengal after crossing Bangladesh. The 2,525 km long river is considered the holiest river in our country. It is believed that taking a dip in the waters of Ganga washes away the sins, taking the person closer to “Moksha” which means “Liberation from the cycle of life and death”. Also, Hindus bathe in the waters to pay homage to their ancestors and their gods by cupping the holy water into their hands and letting it fall back into the river along with flowers and “Diyas”. But with the good comes the bad, people have made the river very polluted over the years. The third largest river in the world is the fifth most polluted river in the world. Sad, but true! Lord Shiva, the creator and the destroyer is one of the major deities in the Hindu’s house of gods. You might have seen images and sculptures of Lord Shiva depicting an imagery of Ganga flowing from his hair. Surprisingly, the Almighty is considered to be married to goddess Ganga. Is it true? Let’s find out. There is a tale behind the divine being and the goddess. It revolves around a sage, Kapila. The question arises, “What has a sage got to do with Ganga flowing from Lord Shiva’s hair?”. It all started from an “Ashwamedha Yagya”. A mighty king, Sagar, wanted to sacrifice his horse, to declare his supremacy over the gods. Seeing this, the lord of the heavens – Indra, got envious and decided to plunder the ritual horse. Succeeding that he tied the horse in the ashram of Sage Kapil, who was silently meditating over the years. When the 60,000 sons of the king found the sacrificing horse, the sage was blamed for the break-in. The assault woke him up from his contemplation, and his rage blighted all of the king’s sons. Anshuman, one of the king’s grandson brought back the horse to King Sagar and pleaded for forgiveness to sage. The sage demanded to bring the sacred river Ganga down from the heavens to sanctify him and his ancestors and help him to attain nirvana, in return the grandson’s life. Seemed almost impossible, right? King Dilip, son of Anshuman, to save his father’s life, went to Brahma – the god of the gods. Failing to convince him, he successfully got through Lord Brahma’s son, Bhagiratha. A father couldn’t deny his son and ordered Ganga to descent to Earth. Hitting her self-respect was not a good idea, and the agitated Ganga decided to create havoc on earth with her force while descending from the heavens. Bhagiratha, being warned by Brahma, had to go to Lord Shiva to plead him to help him prevent this destruction. The almighty agreed to receive her on his interlocks. Ganga tried to tremble the earth. Moreover, when she tried to push Lord Shiva down to the core of the earth with all her force, the almighty very calmly tangled her in his hair. Yes, the all of it! Ganga became helpless as the lock being so strong. But being pleased by Bhagiratha’s prayers he released her in 7 streams, which today is known as Bhagiratha, Janhvi, Bhilangana, Mandakini, Rishiganga, Saraswati, and Alaknanda. By then she became composed and followed Bhagiratha, who led her to the ancestors and with her purity release their souls. Hence she is seen flowing from his long locks. Anshuman’s life was saved, and since then you see Ganga flowing from Lord Shiva’s matted hair. Also, we found out that according to the Skanda Purana, Shiva married both the daughters of Himavan. These two daughters were Ganga and Uma (Parvathi). This is one reason for why the name Gangeya has been given to Lord Ganesha. You can visit Haridwar, Banaras, and many more places to see her. At some places, you might find her still and calm while at other catch a glimpse of her flowing fiercely making the pleasant sounds hitting the rocks. But wherever you go, be safe!